Beginners tend to just pick the boxing gloves that fit their hands. Actually the size of boxing gloves are more complicated than that. In this article, you can find the detail explanation of each boxing glove size as well as our recommendations of size for different types of body weights.The choice of glove size also depends on your using method: if you use boxing gloves for training, sparring or competing. 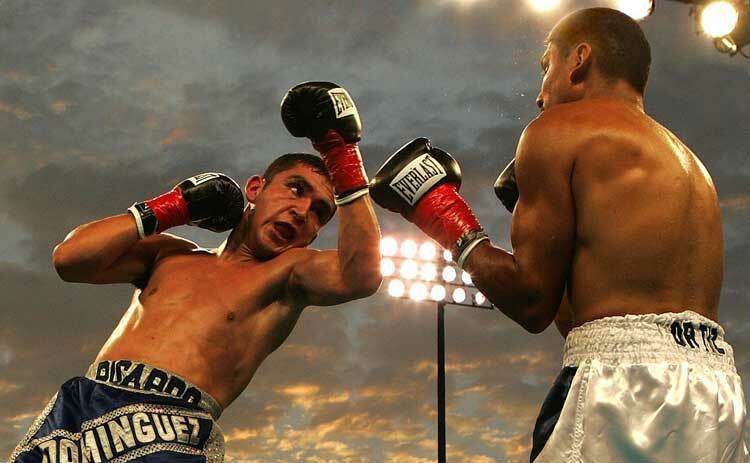 Keep reading on to understand how to choose the right boxing glove size for your own use. In most cases, when buying boxing gloves, you will see sizes are represented by weight class ranging from 8 oz to 16 oz. Let’s make it clear of how size and weight of boxing gloves are different. Size refers to how fit gloves feel on your hands while weights means how heavy the gloves are. One can adjust the size but not the weight. The most common way fighters adjust gloves’ sizes is using hand wraps to add layers and make bigger sizes. 8oz and 10oz gloves are meant to midget on adults hands and popularly used for professional fighting competition. They are less padded than bigger sized gloves thus are not recommended for sparring. 12oz, 14oz and 16oz gloves are common choices for those who look for all-around training boxing gloves. 12oz is preferably for those with small hand size; 14oz is the average size and 16oz is the most well-received as a standard size for training and sparring gloves. Beginner trainers usually start with a 16 oz pair of glove to do all types of training from bag work to focus mitts and also sparring. Don’t worry if 16oz gloves seem a bit heavy at the beginning: they eventually will build up your strength and conditioning. Their well-padded inner part will also help protect both you and your opponent during the sparring training. 14oz gloves are also good if you look for lighter options which don’t wear out your hands. Remember to choose the gloves that keep your hands snug fit. If the inner side allows too much space, it might cause sprains or injuries to your hands. You will need to wrap your hands before putting boxing gloves on, so remember to estimate extra space for hand-wraps when buying gloves. After a certain usage time, gloves will tend to stretch and turn a bit bigger than when it was brand-new. So when buying a pair, you might want to have it a bit tighter.